Egoli Textiles manufactures high-quality proudly South African textile designs, African fashion, and accessories inspired by traditional African textile techniques. They work under ethical trade conditions using eco-friendly dyes, inks and natural fabrics for our custom designed fabrics. Egoli Textile Designs incorporates commercial fabrics into their fashion range. This is to ensure that they also serve a customer base that is looking for affordability while celebrating African fashion. The business is one of 20 nominees listed for the 702 Small Business Awards. Founder, Sino Xaba says she was inspired to create a range of textiles influenced by South African heritage and culture. I thought there was a gap in the market for textiles that showcase our diverse heritage specifically indigenous designs. She says there is a shortage of skills in terms of textile designs. 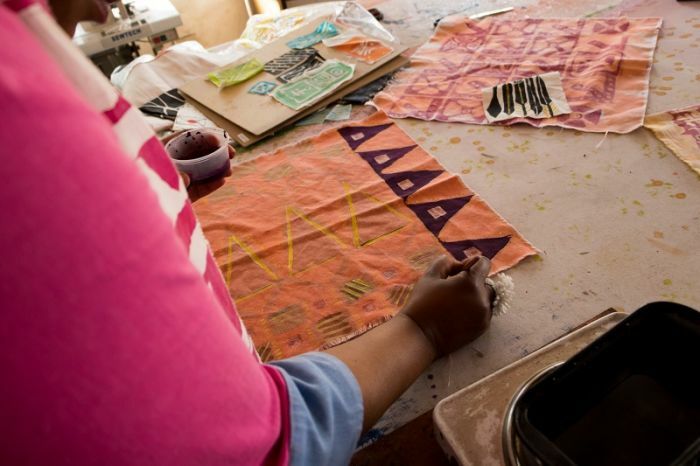 Xaba offers workshops and training in textile design. Bumbles is the brainchild of Billie-Clare Schofield who says she felt compelled to improve the baby food products on the market. Loxion News is a vibrant township-to-township newspaper that reveals the brighter side of living in these communities. Small companies can now make use of virtual receptionists to get through the admin of phone calls, seamlessly. The Money Show’s Bruce Whitfield interviews Aurik Business Accelerator’s Pavlo Phitidis. Munching Mongoose's Brad Meiring says the award has been a springboard for the company. Entries are now open for 2017. 2016 Sage Small Business Award with CapeTalk winner Yoco's Katlego Maphai chats about company's growth. Entries are open for 2017.